Kylie said: "Staged at one of the most stunning venues on the island, Le Ciel. 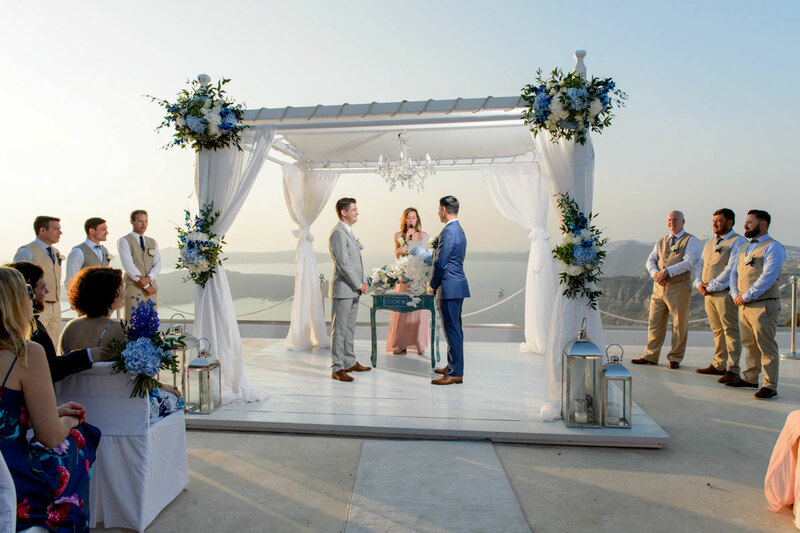 The simplicity of our choice in colours, greenery and style only complimented the beautiful views. Since day one dealing with Le Ciel, we were treated at the highest level, nothing was too much when asked for. We had a wedding of 70 guest therefore we chose our own buffet. Each and every one of our family and friends said the food was the best they have ever had at any wedding they have ever been." Jordan said: "In closing, we celebrate not only the joining of families, but cultures as well. And in our culture there’s only one way we passionately show our acknowledgement of such a wondrous moment." and an abundance of love to someone who has put their heart into something for me, in this case it’s for us. for the hours spent watching over footage looking for the right pieces to tell our story. what you’ve done is truly unbelievable! There have been many tears of happiness between us. You got us! This is who we are! A dear friend of mine said to me recently “you truly are a women who people describe as glue that connects their family." Both Jordan and I have become that glue in our marriage, family and friendships. You can see that in the faces of our guests with the laughter and the deep connection with our cultures joining together. We hope you all love our video as much as we do and please like and share this post of our video by Phosart Photography & Cinematographers. This group of people have been an absolute pleasure throughout our whole journey. 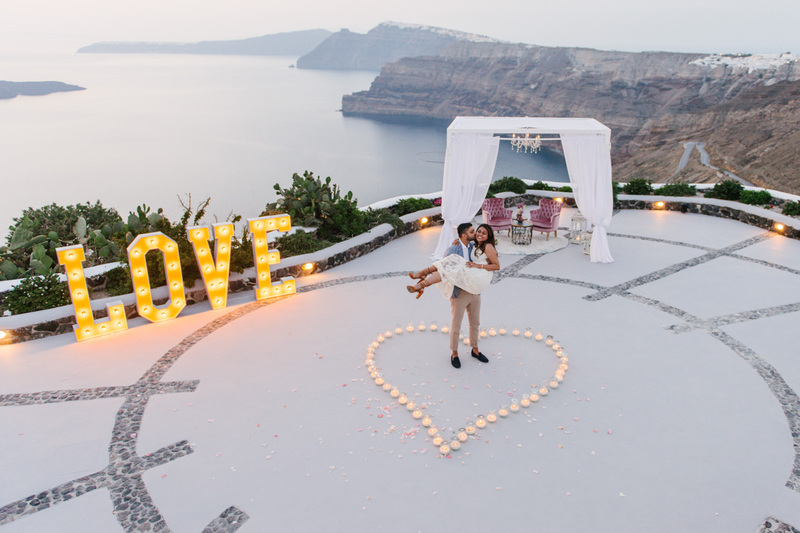 We cannot wait to work along side such an amazing company in Santorini as Lace The Bow Weddings. Thank you, Chris, Joanna, Stella, the video crew there on the day and everyone else involved." "It’s no hidden secret that I hate the camera unless I’m behind it to my family and friends. Our wedding day arrived and I remember thinking it’s finally here and I wasn’t the tiniest nervous. I had been waiting for this day all of my life and I couldn’t wait to share it with those who came. and the awkward Kylie kicked in, even with a couple of glasses of champagne! SMILE Ahhhh hang on, how do I smile normally? Awkward face.. Wait what do I do with my hands? How should I stand... oh my gosh I can’t breath.. Can some else please be the bride just for the photos? Joanna, I can honestly say you made me so comfortable in all of my awkwardness. but I must say you’ve captured the most beautiful photos of myself, husband & children." We absolutely loved the photos and the videos - wow! We are so speechless by the work Joanna and Chris have done. It’s totally above and beyond what we expected. 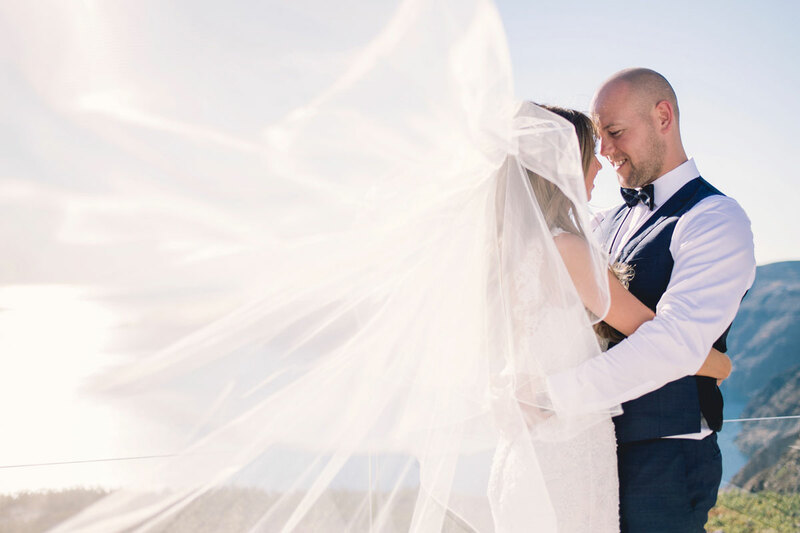 We cried, laughed and reminisced the moments of our wedding day. to perfect each and every detail in those photos and videos. Just the small details touch our hearts! Thank you once again for capturing our once and only lifetime of our wedding! Thank you for making it look perfect and for the amount of emotions captured - just WOW! and always making us feel at ease. We had such a fab day! I definitely will be recommending you to all our family and friends! of our wedding day was extremely daunting for us - two individuals who are extremely camera shy. However, Joanna was so patient and lovely throughout our pre-wedding and wedding shoots. have created some magazine worthy spreads that we never thought was possible! Thank you, thank you, thank you! We literally have no words! Both me and James are truly stunned at how you’ve captured our special day! you’ve captured our photos, and the video makes me speechless! We can’t thank you enough! 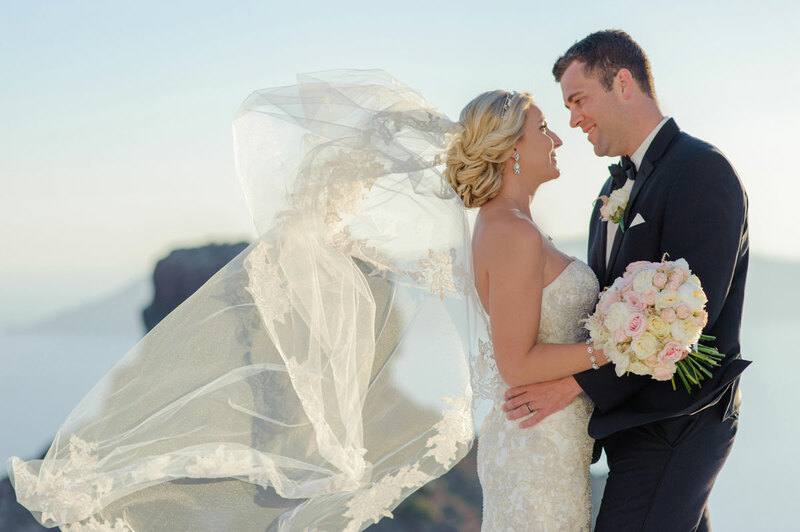 every future bride and groom have you capture their day! Samuel and I would like to thank Joan, Chris, George and the rest of the team involved in any behind the scenes editing/cinematography. and Samuel was really impressed with how you and your team handled challenges throughout the day. You paid a massive attention to detail and we can’t wait to see the outcome!! Dear George, Chris, Joanna & Stella!! (despite the stormy chilly weather in some cases!!) Thank you so much for being a crucial part of our wedding journey!! We truly felt like you were family and friends; nonetheless, we are inspired by your professionalism and diligence! We loved every part of having you with us! For many more occasions to come! Studio Phosart was the best decision that we had taken for our wedding. It was so easy to arrange everything with them. Communication was so effortless and efficiency at 100%. 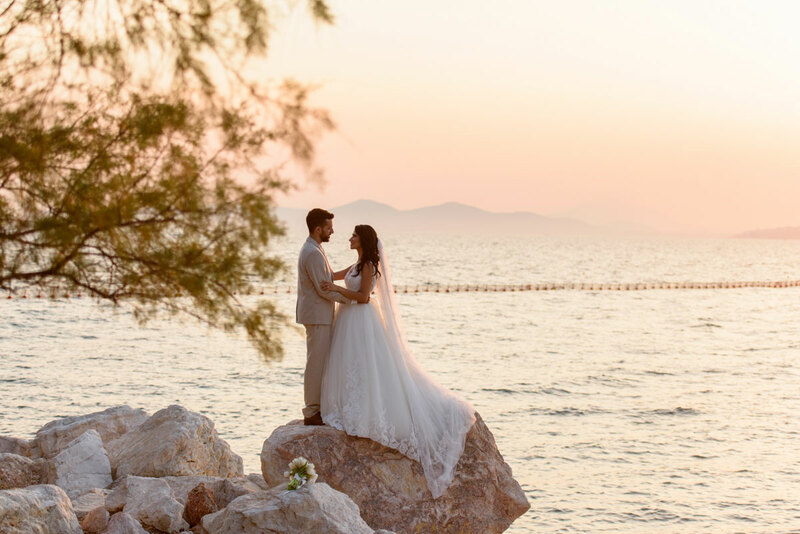 They have provided us with the most beautiful wedding pictures and weddingfilm imaginable that we will treasure forever. 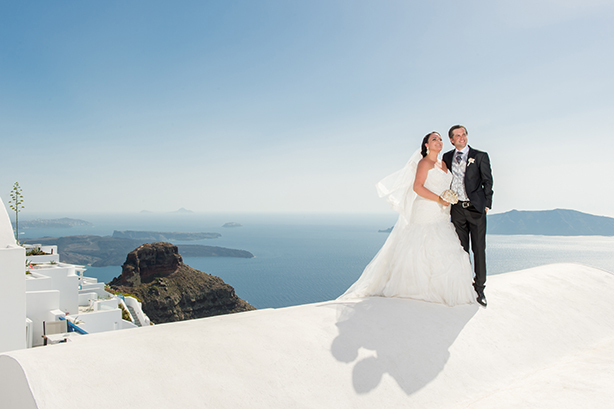 We would recommend Studio Phosart to anyone that is going to have a wedding in Santorini or wherever in the world. 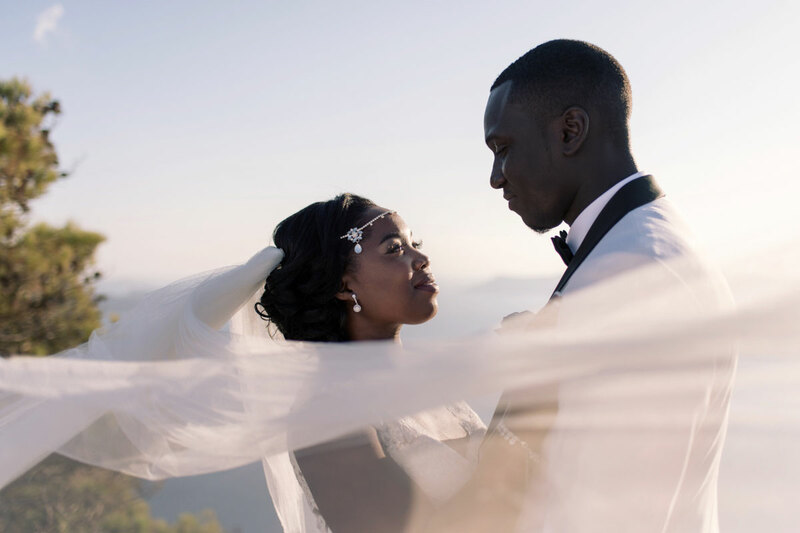 If you want the best wedding Studio Phosart must be a part of your wedding day. Where do we start with the Phosart team!!! Simply the best! 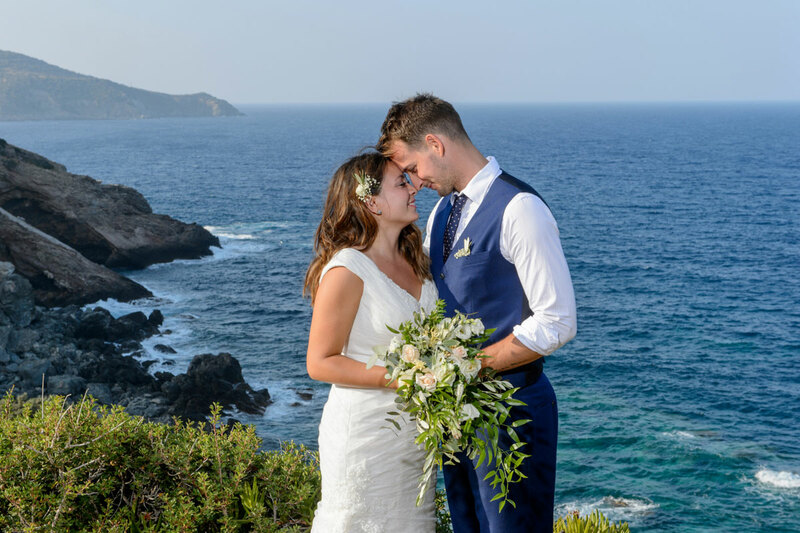 Jo literally smashed our wedding and the whole team, were not only world class, they were so professional yet friendly. We cannot wait to see all the photos and the video but no doubt they’ll be sensational. The pre wedding Skype calls defining the itinerary, the communications throughout the build up with Stella was exactly what we needed. 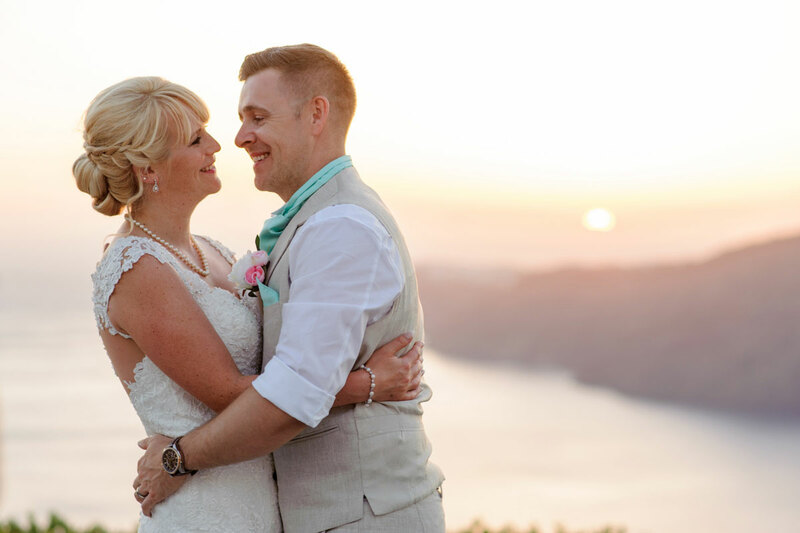 We cannot speak highly of the Phosart team and you need to choose them as your photographers/videographers for your big day - you won’t be disappointed! 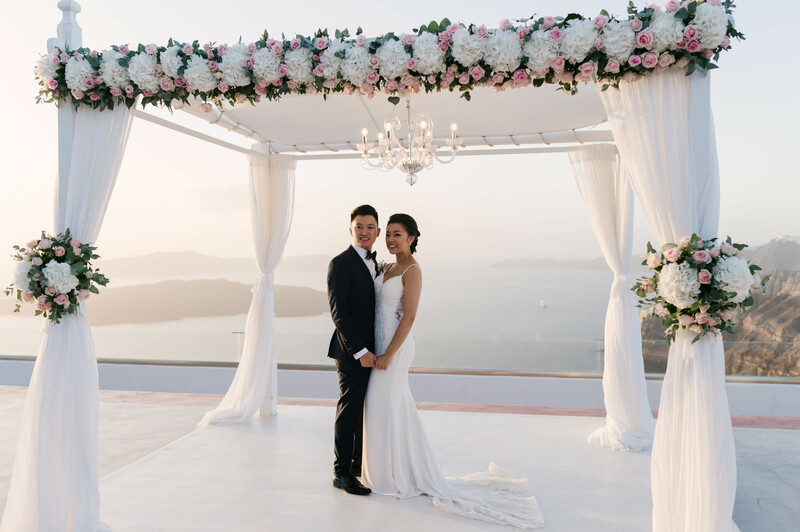 When we decided to marry in Santorini, it was immediately clear to us that we wanted to film our wedding. We only needed to watch 1 video from Phosart to decide for them. And it was more than worth it! I cannot put into words how satisfied we are with our choice. The video is just perfect and you can see it comes from professionals. We can watch it 100 times a day and just cannot get enough !! All those who have seen the video (including us) are absolutely speechless and fascinated. We want to thank you again for your professionalism and kindness! Thank you for keeping our beautiful memories alive! You are a great team and simply the BEST! Joanna & Team Phosart, one word... WOOOOW! The two of us are absolutely speechless and thrilled. We literally ran around our hotel room jumping up and down screaming. THE WHOLE ALBUM LOOKS AMAZING! Like perfect in every way imaginable. Honestly, words will never come close to expressing how grateful we are to have chosen you guys to shoot our wedding. We’re completely mind blown with the final results! You guys are simply the best Santorini has to offer let alone all of Greece! As a wedding couple, you can only imagine how your wedding pictures turn out, hoping for the best. 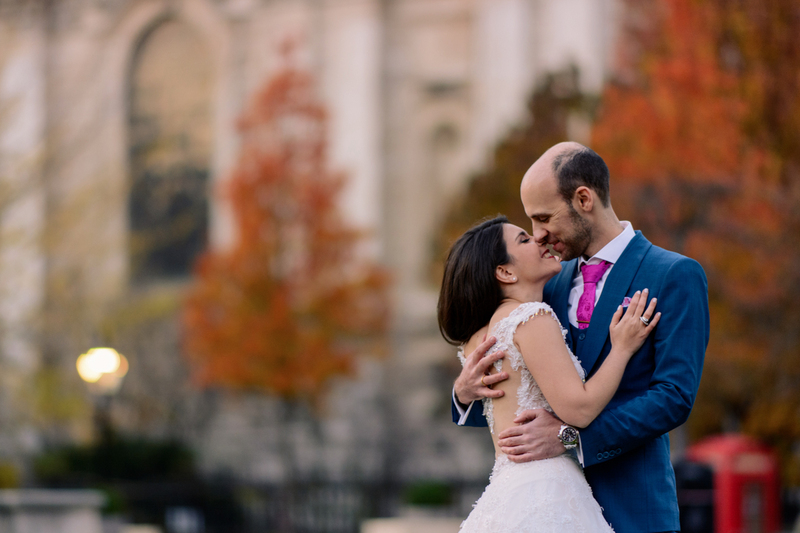 You guys exceeded our expectations and did such an amazing job with documenting all the highlights from our special day. Literally every special moment was captured with a photo. All thanks to you guys, we’ll be able to reflect back and never forget the highlights of our wedding. From the bottom of our hearts, THANK YOU! Joanna, you were an absolute blast to work with and made the whole experience fun and enjoyable. Your shots are absolute fire! We will definitely have another photoshoot with you again next time we visit Santorini. Team Phosart, we’re beyond grateful for organizing everything, squeezing us in and keeping a smooth level of communication from the other side of the world. [...]One last time... THANK YOU SO MUCH for everything. 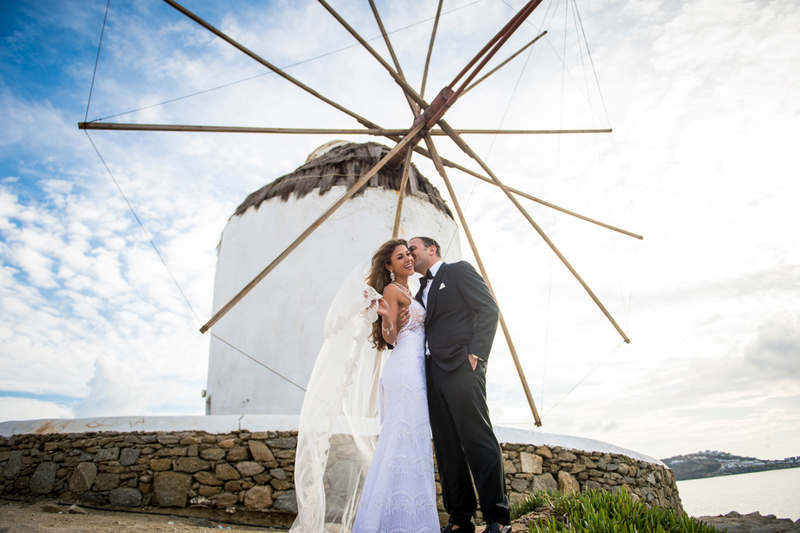 The photos, the professional service and an unforgettable experience! Stop searching, Phosart is outstanding! While planning our elopement, we really wanted something special to share with our loved ones back home for our reception. What we got is more than we could have asked for. 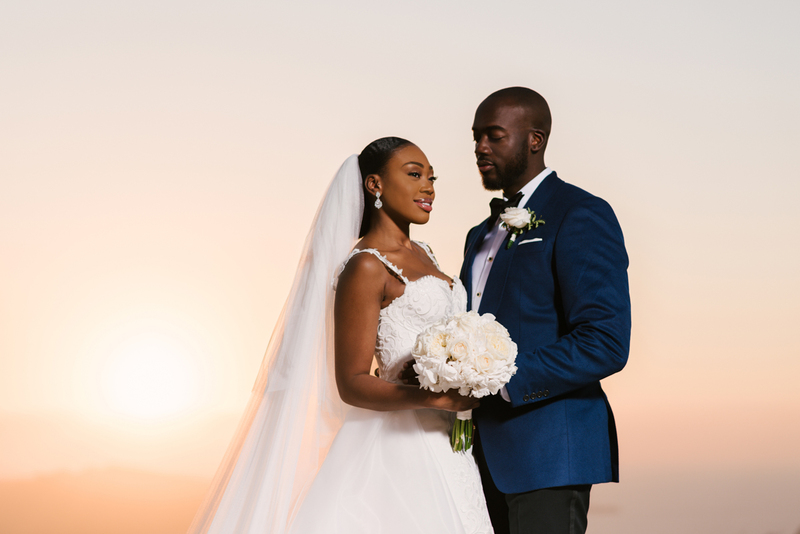 Stella and Chris were a pleasure to work with and delivered an exceptional video that captured our moment perfectly. Chris made us feel comfortable behind the lens and has an incredible eye. He really knew what we were looking for and delivered. I get emotional every time I watch the video because it takes me back to our special day. We couldn't be happier with the Phosart's work and the people that created it. Thank you for giving us a memory that will last forever. 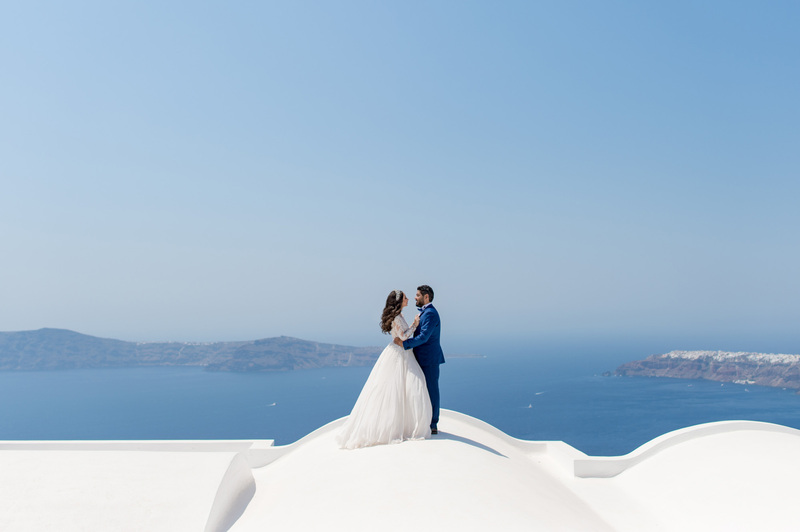 From the moment we chose to get married in Santorini, we knew we only ever wanted Phosart to capture our day. We can assure you we was not disappointed!!! The Team was just amazing beyond words from start to finish. The Phosart Team are all so passionate in what they do which really shows in their profound work!!! when we saw them and we are so excited to see our video!!! We would like to say a personal thank you to George and Chris who captured our day! You both were simply amazing and made our day memorable!! Thank you #Teamphosart your undoubtedly the best !!!!! I am so glad my Fiance chose Phosart! We are extremely happy with the way our pictures came out and want to thank Joanna and Chris! They were both so pleasant to work with and the best part was that they were cheering us on from the sidelines. Love is powerful but it makes a difference when you have the best photographers capturing and adding to your moment. this is what makes them so great!! I am so happy with our shoot and would definitely recommend them! Thank you Phosart for a great experience. I really thank you for everything, for every effort you put in our wedding! 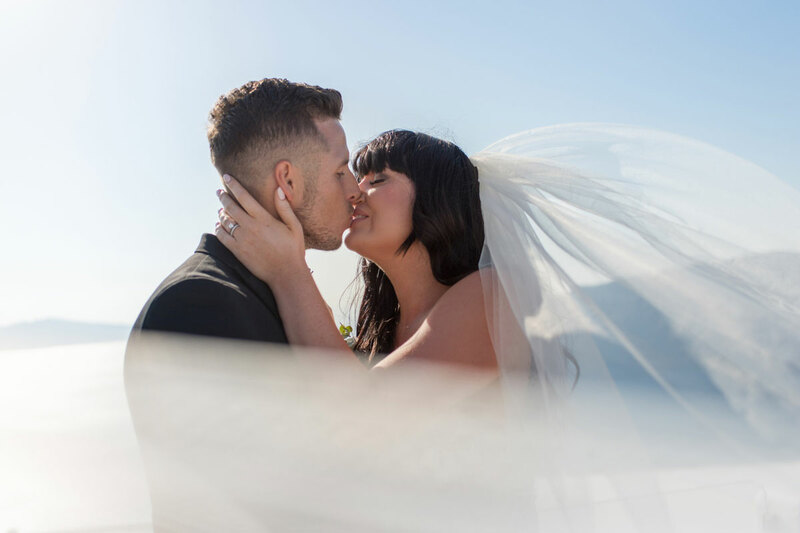 Because of you, I have a beautiful memory of my big day that will stay forever! and the fact that you made my big day so beautiful and memorable for me and Ziad! Joanna, Chris and all the team of Phosart, I really love you! You are the best in the world! 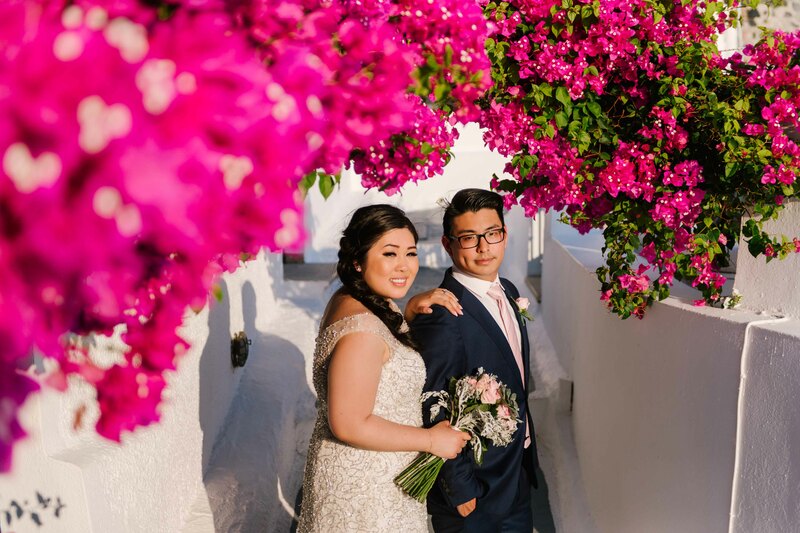 for taking our engagement and wedding photos in Santorini. Jo is incredibly talented with her cameras. with the background to create photos of the greatest memory my wife and I have ever created and shared! Her charismatic personality fit in perfectly with us and our wedding party. We truly felt like we had met a long lost friend. 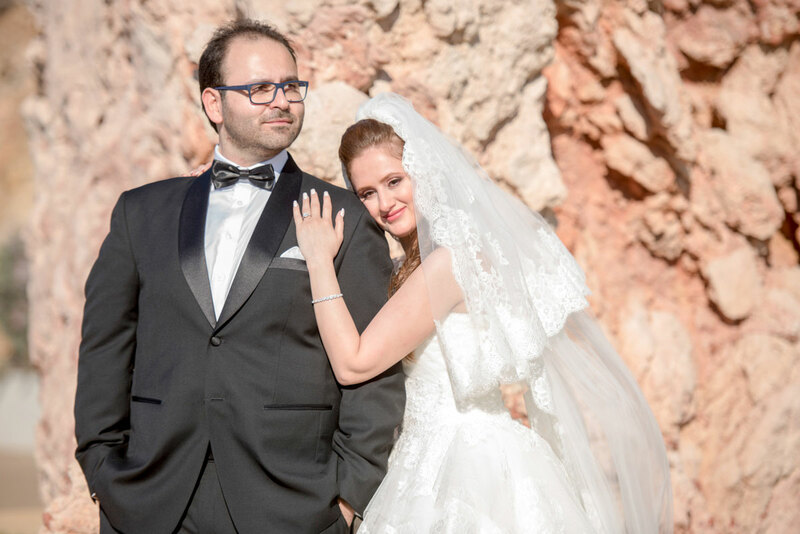 We would like to thank the whole team of Phosart for their amazing work with our wedding photos and video! The pictures are just amazing and Chris' work with the trailer is just art! We couldn't believe how great it was when we first saw it. Also, thank you so much for the great preparation beforehand. The Skype meeting and email correspondence made us feel very comfortable and at ease. although they almost were invisible to our guests and us. Again, thank you so much for the great work, you really created lasting memories for us! I cannot say enough amazing stuff about Phosart! From start to finish they were amazing, incredible, brilliant, superb! Me and my husband are over the moon with our pictures and short film and we have had endless compliments on them. and lovely to work with. So pleased we chose Phosart.....thanks to everyone there for making lasting memories for me and Jarrod! For starters our wedding was a huge project for Phosart. that it definitely needed a professional team to capture every bit of our big day. The entire team was so organized, professional and frankly quite amazing! Chris and Joanna Skyped several times with us, since we live in the US, to make sure everything was in order. They made us feel so special and comfortable once the big day arrived. since it’s the only thing you’ll have left after everything is said and done.....you won’t regret it! We just wanted to say how impressed we are with our wedding videos and photos. We finally got home to see them on the big screen, with tears and laughter to follow. Thanks to you and your team for helping make our memories last! We can't recommend you enough to EVERYBODY we chat to! well you only get one shot at it and this one of the most important moments of a lifetime. because we felt such a great connection with them right out the gate. and that Phosart could bring that vision to life. My wife and I were blown away by the beautiful pictures and video they put together. 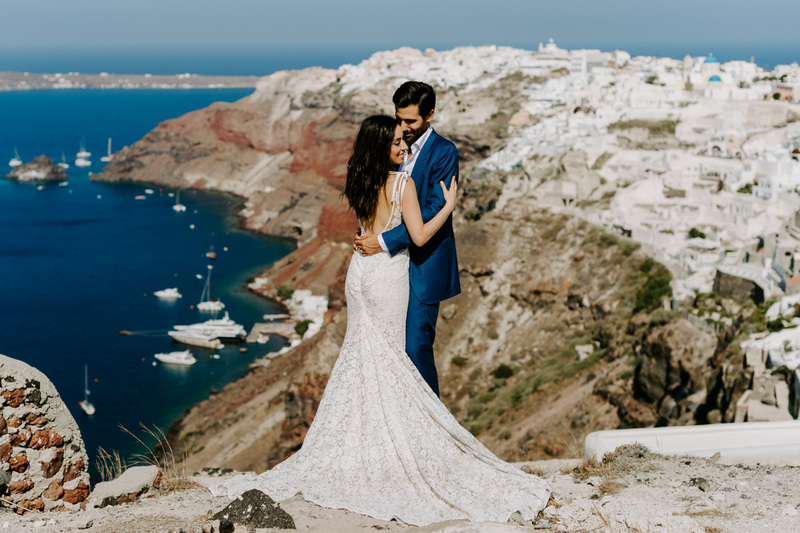 to compliment the amazing wedding we experienced in Santorini, Greece. Thank you so much for the amazing quality, attention to detail and personal touch you brought to our marriage. We would just like to say how pleased we are with our photos and video. 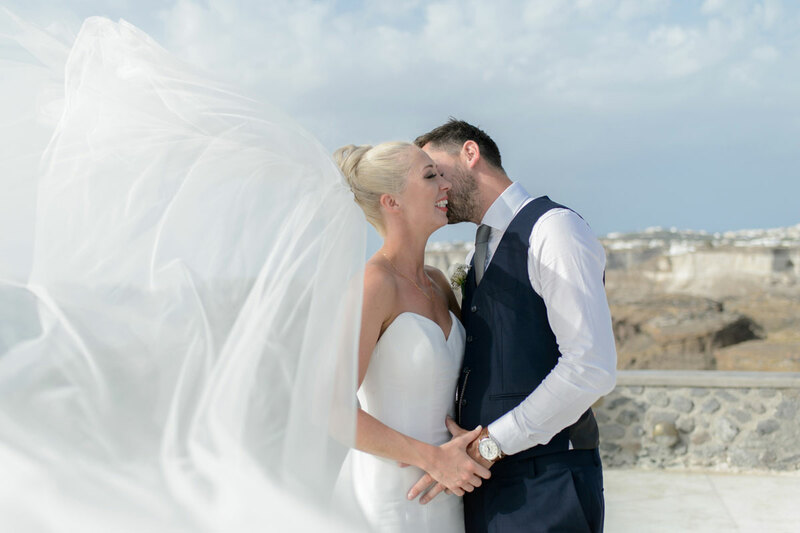 We love how our photos and videos offer us reliving our day over and that is priceless. We couldn't have a better team behind us to capture our day. that made us feel like we had known each other for years. when we are in Santorini or if you come to London. as it's one of the most important days of your life. When I saw Phosarts work I immediately knew they where the right choice. They captured every moment and every detail in an incredible way. I am so thankful for their work and recommend them to everyone! An amazing, creative, service-minded and kind team! Thank you Phosart for capturing our day! It was great, the photographers got most of the details captured with minimal instruction. Every part of the wedding was captured beautifully. Thanks for capturing the wedding as it was experienced! 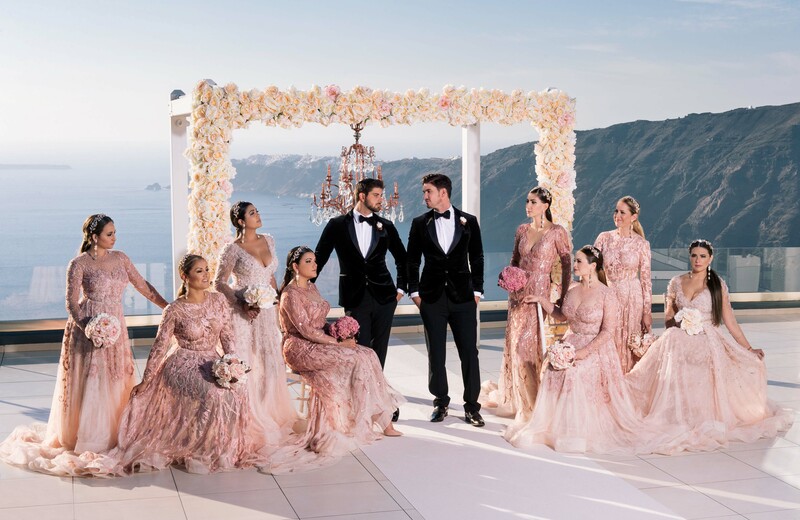 We didn’t even notice the photographers there so they did a great job not being in the way and the photos are beautiful! We have been trying to put our thoughts into words and it seems impossible. Every detail, each shot - utterly breathtaking. We still cannot fathom that we have these incredible memories to last our lifetime and beyond. We can only imagine the stories our grandchildren will hear after our children share these photos with them. This video could not have been better. The song choice, the shots, we can go on forever. You truly have invaluable members on your team and they create images and video content that one only see in their dreams. To see it in reality leaves us speechless (and in tears). We want to thank you all for making our special experience so unforgettable. Joanna and Chris went above and beyond! Thanking each of you does not seem sufficient enough for how we truly feel, but thank you for these memories. They will last with us and our family forever. Sometimes is really hard saying thank you as words are not enough. The Phosart team are incredible.They had such professionalism, they listened carefully what we want and gave us great ideas. No need to speak about their talent and the uniqueness of their work, simply watch some of their videos. Every video is different as every love story is different..
And that's what I love with these guys that they don't follow the same format for every couple. Our wedding trailer was an instant hit within our friends and waiting with so much excitement for the wedding video. Most importantly we made some great new friends. Thank you George, Chris and Vaso for making our dream come true. Working with you was really amazing for me and my husband. You were very attentive, hardworking, interesting people. Everyone of our guests, by looking to our photos and video, can't believe, that they were there. We got a lot of compliments from other people we even don't know. With you, our wedding became more colorful and romantic. We couldn't even imagine that. When our photos and clip of our wedding were shared to our social media, the reaction of people was unbelievable. Everyone told me, that it was like a fairy tale movie. We will always keep in touch with you guys, as you are the best of the best. And I hope we will work with you over and over again! “I’ll check through my camera”. They are all absolutely lovely and stunning. Herson: Well, what can I say? You are a pro!!! But now we really appreciate it! 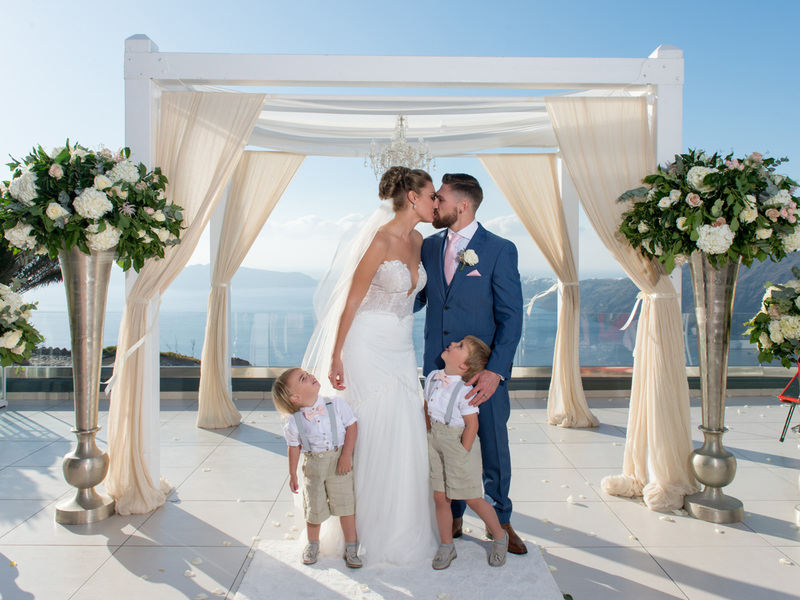 After seeing their online portfolio, we were very impressed so chose them for both Photography and Cinematography. On the day of our wedding the team were absolutely fantastic and made sure everything was on schedule as we discussed. and for the amazing results of your work. The pictures and film will bring joy to us, our family and friends for many many years to come. seemed a million times more important. and was patient with us and our requests. Our main thing for us was to feel relaxed, not pushed or pressured into cliquey photos that looked unnatural. From the start to the end they was incredible. They was honestly the best team. They was so much fun and have a natural eye for a special moment. They literally caught every bit of love that day. I didn't think it was possible of capturing such photos. and say how well our photographers captured so much love and happiness. They are insanely talented, thank you so much for everything. Thank you so much, we are sooo pleased with the video and the photos, great job! A big THANK YOU! 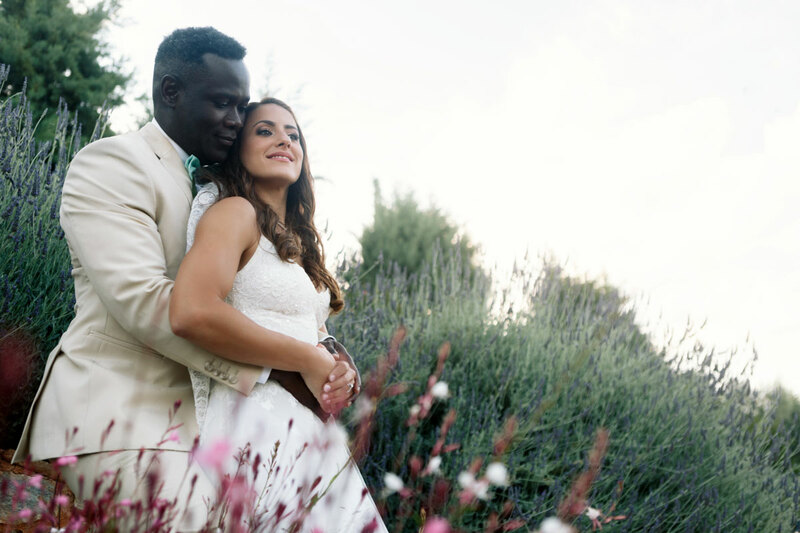 to George and the Studio Phosart Team for doing such a fantastic job for our wedding at Villa Delenia. and we truly enjoyed working with George and his team. Our families actually haven't stopped talking about how much fun the photoshoot was. Everything looks so beautiful and they were really able to capture everyones personality perfectly. We really can't say enough how happy we are!!! Thank you for helping to make our wedding the most wonderful and memorable experience of our lives. Our interaction with you could not have been easier. I never thought planning a wedding all by myself could be so simple. It was so easy to communicate with you through email. 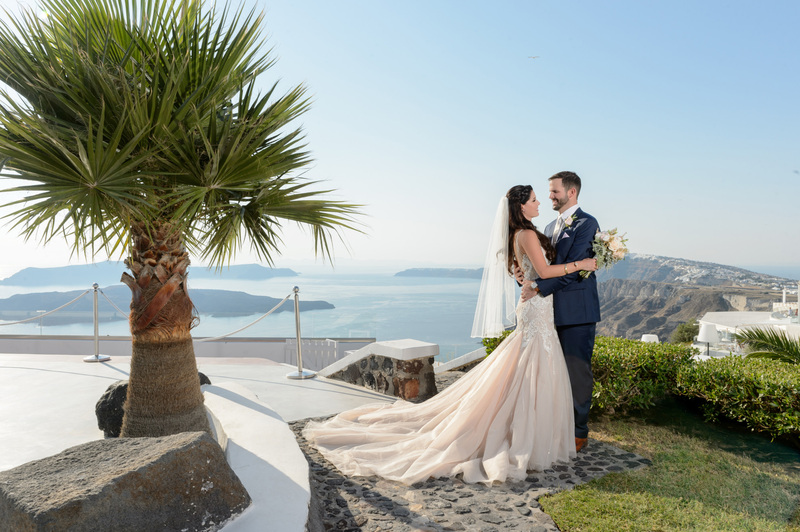 When we arrived in Santorini you met with us and we went over last minute details, it was such a breeze. Joanna and Chris are amazing photographers. We had so much fun taking pictures with them all day. We are so thrilled to be able to share this special day with our family and friends back home. The best day of our lives will forever be cherished and we have a keepsake for a lifetime thanks to you. I cannot thank you enough! I am absolutely in love with it all! The movie is incredible and I am so happy we can relive it. Phosart did a fantastic job for our wedding! and Chris, our videographer were fun, talented and made us feel very at ease the whole time. when we watched the short clip he put together of our wedding day. Simply amazing and Chris could not have done a better job, especially given the song we chose for the clip. Absolutely looking forward to our wedding movie! 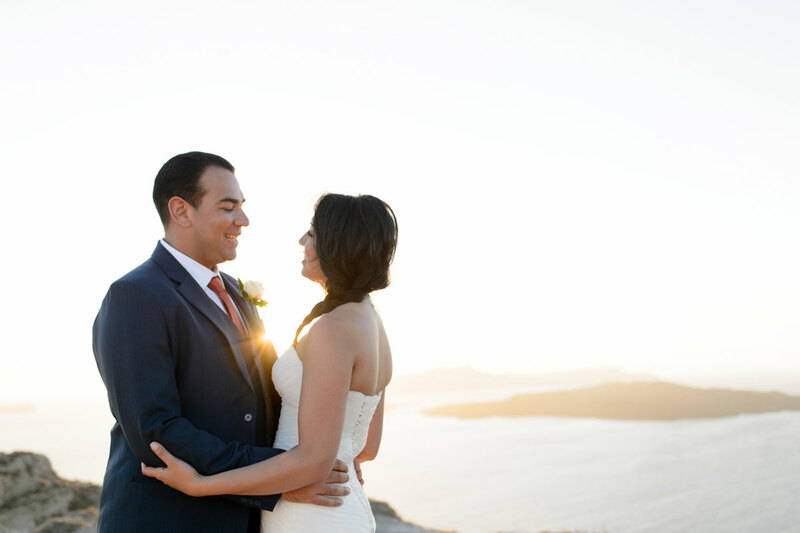 We would totally recommend Phosart to any couple getting married in Santorini. They did keep their promise by keep your memories alive! Our communication with Stella has been amazing throughout the whole process. She is very informative, courteous and also very helpful in providing great advice and insight during the planning process. It was very smooth and we could not be happier. Chris and Joanna were nothing but fun to interact with since we caught up with them for the first time at our pre-wedding meeting. They kicked off with a great start and that made us really excited for our wedding day. and above all, made us feel really at ease while having so much fun. They were very subtle when filming or taking pictures at the wedding ceremony and reception. In brief, we absolutely loved them! I knew many other brides that had a stressful time with them photographer but definitely the opposite happened with us. It was fun and cheerful with lots of laugh and jokes but a same time professional. I would recommend Phosart team to everyone who want to make them special day as a perfect memory. because I cannot tell you the feeling what I had when I saw my short video for a very first time. Couldn’t say enough thank you for a perfect work what they have done for us. What to say for you, team of Phosart ??? You are awesome, amazing, unforgettable!!!! Together we laughed, we had a beautiful time and the result was sooooooooooo very beautiful and dreamy!!! We have already recommended you to our friends and will continue to!!!! From the very first email that was exchanged between us everything has ran smoothly. As soon as we met Joanne and Chris we knew we were in good hands. 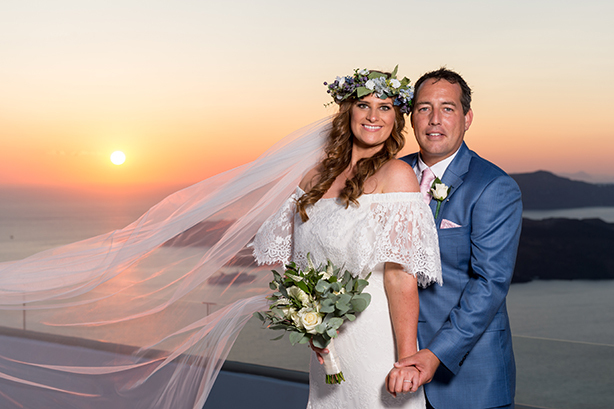 On our wedding day they were great, giving us time to see our guests and then by getting some fantastic pictures. They knew the right time to get certain shots and the results are fab. It was impressive to watch how the team worked with all of our family and guests. They were good at giving directions when needed and equally good at fading into the background when necessary. The full Phosart crew made the whole experience fun and kept making jokes and interacting with us and the family. I really can’t recommend them highly enough! Our pre-wedding, wedding day and post-wedding photoshoots were absolutely beautiful. The Phosart family are true artists. George approaches shooting with an artist’s eye. helped to capture the full spectrum and depth of our wedding. Studio Phosart was recommended to me by a friend who used the team for their wedding a couple of years ago. this is how confident she was and how happy she was with the work they had done for her own wedding. She was not wrong. Studio Phosart, I don't even know how big I can thank your team. We would like to send you the biggest heartfelt thank you for all of the attention you gave us from start to finish. which will bring joy to us and our friends and family for many years to come. Incredible professionals, very good at their job with vast experience that makes them understand everyone’s needs immediately!! They knew the style of the wedding we wanted, and so were able to help us and make the stress go away! Our most important thing was that we felt immediately comfortable with you and faithfully followed every instruction! We laughed, we played, improvised and finally everything went super!!!!! Your work shows how much you try for every couple that with through the video and photos, render their philosophy and feelings! The best thing in the wedding was that you were our photographer (and videographer)! Working with you was easy and it affected our wedding day! 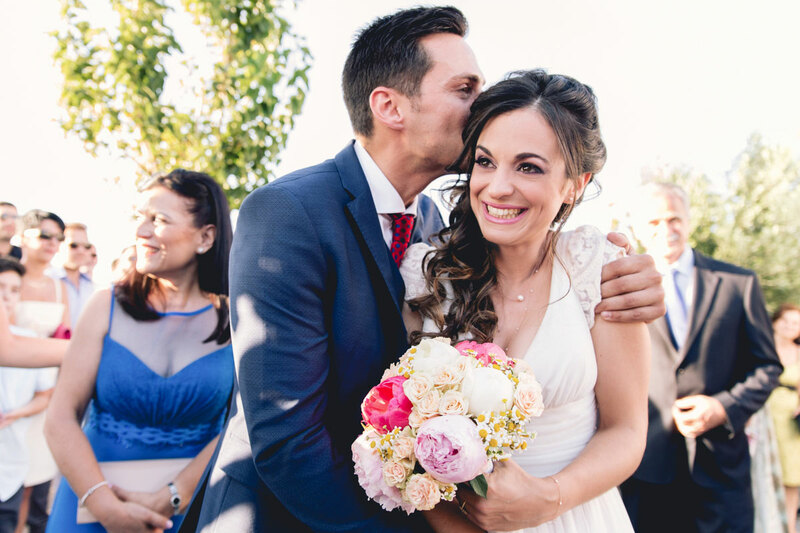 Phosart are an ideal choice – very straight forward arrangements, no fuss or complexity which is exactly what we wanted. We didn’t have to get involved once! but we were never once made to feel pressured or that we were hindering the photographers efforts! and the rest really just focused on our beautiful venue and the happenings of the day. Thanks so much!! Our videos bring back so many memories. and we were extremely happy with the full length videos! It took us back to our happy happy day and it was very emotional! 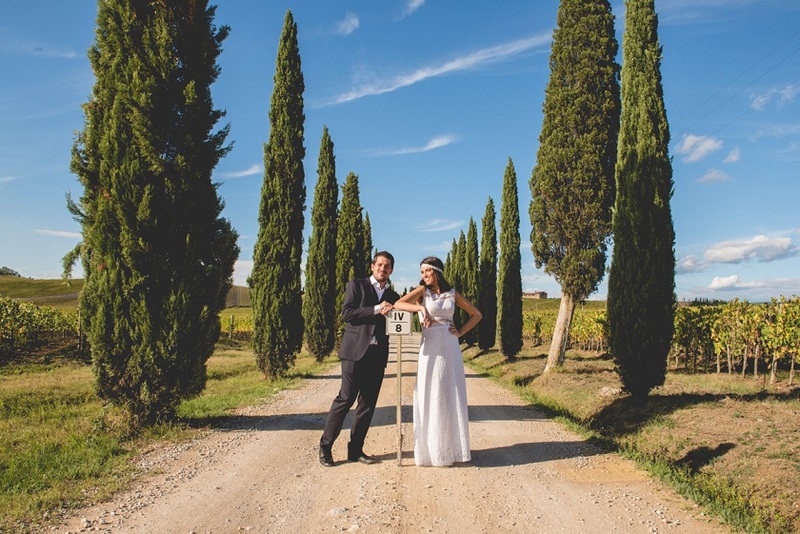 We are very happy with Phosart’s professionalism & personable approach! Your team was really dedicated and the photos and videos were perfect! We were very happy with the results and enjoyed your teams’ company on the day! they knew our exact style and we knew we had chosen the perfect team! They are so talented and ridiculously good at what they do. I feel so grateful and like I could never repay Phosart for giving us the most beautiful gift of keeping our memories alive. showing all of the exact emotion and beauty. I could truly never thank you all enough. I owe you all so much for giving us the most beautiful photo memories that we will enjoy for the rest of our lives. I am so grateful, you are so talented!